Sometimes, you need a weird class to shake things up. The laser mage is one of those classes that starts as a phrase that pops into your head, and then begins to take shape as you let your mind wander and explore. 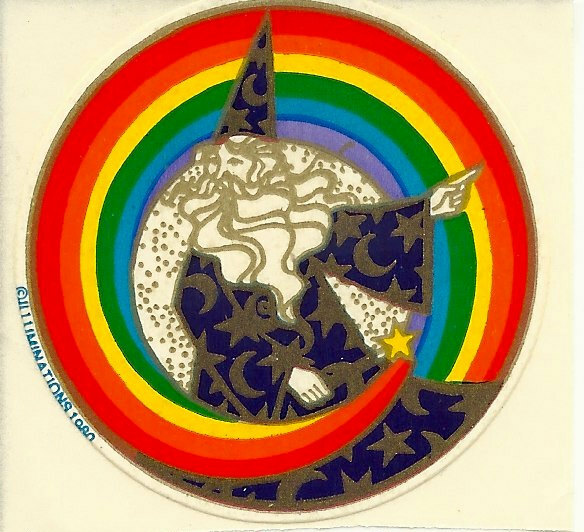 I saw a guy with a wand covered in crystals who could do interesting things with light – something like a combination of illusionist and evoker, but more focused. I pictured something of a magical duelist, a class for people who had played everything and were ready to figure out how to make something new work for them, or people who didn’t want their class abilities to lock them into a particular role. 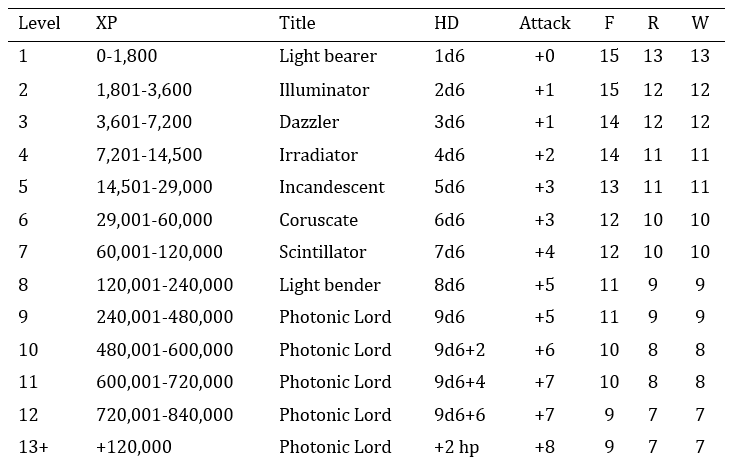 At 3rd, 5th, 7th, and 9th level, the laser mage can add a gemstone worth at least 50 gp to the handle of his light projector to improve the projector’s function. The laser mage determines the improvement gained at each level. Only one improvement can be applied to any given light effect. The potential improvements are: Double range, double duration, impose -2 penalty to saves against the effect and add +1 to hit on ray attacks.